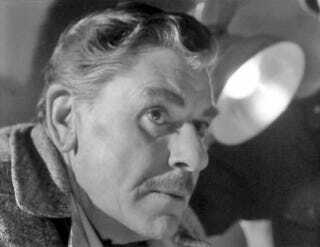 "My name is Quatermass. I'm a scientist." It's not as catchy as "I'm the Doctor" but it works. I saw Five Million Years to Earth (as it was called on this side of the Atlantic) as a child decades ago but only recently saw the original Quatermass and the Pit serial. I wanted to write some strong characters, but I didn't want them to be like those horrible people in those awful American science fiction films, chewing gum and stating the obvious. Not that I wanted to do something terribly "British", but I didn't like all the flag-waving you got in those films. I tried to get real human interest in the stories, and some good humour. Though Kneale had no fondness for Doctor Who, the influence of Quatermass on the show is pretty obvious to me. Only the first two episodes of the first Quatermass serial are still around as far as I know but I'll probably get a copy of the Hammer Film version to see as well as the second serial. The 1979 serial is available as disks from Netflix which is probably how I'll watch that one.